Last week, China’s president Xi Jinping took Blockchain-oriented domestic politics to another level: the country’s leader mentioned blockchain as “a part of technological revolution”. The sentiment was then picked up by China’s largest TV broadcaster, as the viewers were told that “the value of blockchain is 10 times that of the internet”. Besides the high praises coming from the top of the state, there’s action, too: in the past few days, Chinese central bank developed a system to issue blockchain-based checks instead of paper ones, while Alibaba-affiliated insurtech firm promoted blockchain use in healthcare industry. Here’s how China got there, and how state-supported blockchain adoption can coincide with severe cryptocurrency regulation. China is a major player in the Bitcoin market, hosting a substantial share of Bitcoin miners (in 2017, it was estimated that 50 to 70 percent of Bitcoin mining took place in the country) and Bitcoin trading volume, although both factors used to be more impressive before a wave of regulatory suppression. At the moment, cryptocurrency trading is prohibited in the country: after the last fall’s crackdown on local exchanges and ICOs, people in China can hold cryptocurrencies, but cannot legally exchange them for fiat money. Moreover, China’s notorious mining industry has been hit by regulatory bodies as well, pushing local miners to move shop. Due to the crackdowns, Chinese ASIC chip manufacturer Bitmain, the world’s most profitable mining company, decided to turn to artificial intelligence as an alternate revenue source. “As a China company, we have to be prepared”, explained Bitmain’s co-chief executive Jihan Wu. Repressive tendencies of the state have been certainly noticed by the global market: for instance, in January, when China introduced yet another crackdown on cryptocurrencies, Bitcoin (BTC) was quick to drop to its lowest level in more than a month, with Ethereum (ETH) declining 19% and Ripple (XRP) collapsing 29%. China seems quite sceptical about cryptocurrencies per se. The start of its complex relationship with Bitcoin could be traced back to 2013, when the People’s Bank of China (PBoC) noticed that the coin was gaining popularity in the country. In December 2013, the watchdog, along with five other government bodies, issued an announcement dubbed “Notice on Preventing Financial Risk of Bitcoin”, pinpointing several factors in order to warn investors: namely low safety due to the lack of a centralized entity behind the currency. 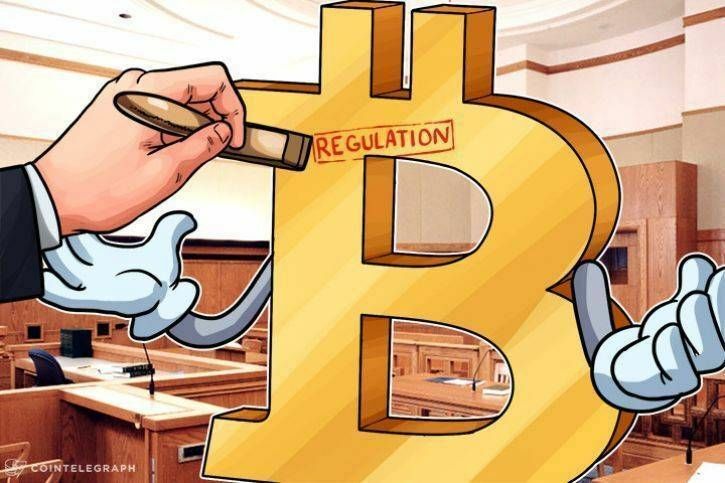 Thus, all banks and financial organizations were prohibited to carry out any crypto-related operations, and all companies offering any services involving Bitcoin were obliged to register with the relevant authorities and to follow know-your-customer (KYC) procedures to prevent money laundering, tax evasion, etc. As a result of the notice, Bitcoin has become a virtual commodity in China, like in-game credits. Essentially, it can be traded in its original form, but cannot be exchanged for fiat currency, nor can it serve as a means of payment. After a couple of years, the Chinese government came after cryptocurrencies even harder. In early September 2017, the state ceased all ICOs and ordered cryptocurrency exchanges to shut down, specifically those offering to trade cryptocurrencies for fiats. In response, over 15 players, including the three largest exchanges OkCoin, Huobi and BTCChina, have closed their local businesses, moving their offices abroad (for instance, largest players, Huobi and OKEX, relocated to neighbouring Hong Kong), ceased all operations, or became fiat-free, no longer accepting cash deposits, but providing crypto-to-crypto exchanges, along with some derivatives (i.e. futures). However, China’s crypto market survived the first wave of straightforward regulation, as many traders moved to peer-to-peer and over-the-counter markets, or shifted to overseas exchanges. For instance, as Reuters reported, popular peer-to-peer trading platform Localbitcoins experienced the impact of the Chinese ban firsthand, as traders piled in, producing record volumes, which in September (the month the ban was introduced) hit as high as 115 mln yuan (approx. $17.8 mln) per week. Nevertheless, in 2018, Beijing decided to consolidate its restrictive stance on crypto, first banning P2P and over-the-counter resources in January, and then adding offshore cryptocurrency exchanges and ICO websites to its Great Firewall in February. Finally, on March 6, the watchdogs reportedly blocked the channels of exchanges on China’s number one social messaging app, WeChat, further urging them to relocate their social media accounts to encrypted messengers like Telegram. At this point, all crypto-to-fiat trading in the country is under a full blanket embargo. Nevertheless, the most recent actions the government took in relation to cryptocurrencies seemed educative rather than outright restrictive. On May 18, IFCERT, a national committee of internet financial security experts initiated by China’s Ministry of Industry and IT, published a study that allegedly detected 421 fake cryptocurrencies, and annotated the research with key features of bogus coins, essentially warning potential investors despite the existence of ICO ban in the country. The IFCERT’s features of a fraud cryptocurrency appeared to be noticeably similar to those detected by the U.S. Securities and Exchange Commission’s (SEC), an agency that has been trying to protect US investors from bad actors without turning to harsh regulation methods so far. Similarly, one day prior to the IFCERT’s report, on May 17, China’s Ministry of Industry and Information Technology released its official cryptocurrency ratings. Regardless of the aforementioned bans, currently, the top-20 cryptocurrencies in the global market in terms of valuation include three coins established and developed by teams located in China: Qtum, VeChain and NEO rank at the 19th, 16th and 11th positions respectively. Despite the strict regulation of cryptocurrencies, China has been significantly more bullish on Blockchain. Indeed, China is one of the first countries in the world to mention the technology in a state-level policy: in 2016, Blockchain was added into the 13th Five-Year Plan, a road map for national development from 2016 to 2020. China continues to communicate its appreciation of Blockchain on a nationwide level: on June 4, China Central Television (CCTV), the country’s leading state-run broadcaster, issued an hour-long special about Blockchain featuring government officials as well as foreign crypto experts. During the show, it was said that Blockchain is “10 times more than that of the internet” in terms of economic value, while the technology was also dubbed as “the machine that generates trust”. The very same broadcaster, CCTV, would smear crypto projects during the clampdowns, as Quartz points out. The country’s relationship with Blockchain is tightly connected to Hangzhou, the e-commerce city of China where Alibaba was founded. In February, it became the first city in China to mention Blockchain in its government work report, stressing the importance of the technology for the city. Soon after that, in early April, The Blockchain Industrial Park was opened in Hangzhou. During the opening, a $1.6 bln blockchain innovation fund was announced, with 30 percent of the total funds notably coming from local government, as well as a research institute established to provide academic support for the development of blockchain tech in the city. In May, The Blockchain Industrial Park announced a new policy, that includes subsidies for startups worth millions of dollars. Thus, the tech hub aims to attract blockchain space talent by offering individuals and startups generous incentives. Highly-qualified blockchain specialists, for example, are being offered resettlement allowances of up to $490,000 and MA and PhD maintenance grants. A significant number of crucial players in Chinese market and government players have been experimenting with Blockchain. For instance, Alibaba holds most Blockchain patents globally, as the e-commerce titan has so far obtained around 49 licenses, which are, as Chinese outlet Xinhua Finance notices, mostly application-oriented and have been applied in areas of public welfare, healthcare, and supply chains. However, such involvement with blockchain doesn’t stop Alibaba’s founder Jack Ma from calling Bitcoin “a bubble”, and that seems to echo the government’s duality towards Bitcoin and other coins as well: while China has banned ICOs and crypto trading in the country, it seems enthusiastic towards Blockchain. Other important players in China include auto behemoth Wanxiang Holdings that co-founded Wanxiang Blockchain Labs with Vitalik Buterin, the aforementioned Blockchain projects such as VeChain and NEO, China’s largest online retailer JD.com, which has recently announced the first four startups for its Al Catapult Blockchain incubation program, and Baidu, ‘the Chinese Google’, which has recently announced its ‘super chain’ protocol. An extensive Blockchain Industry White Paper published by China’s Ministry of Industry and Information Technology on May 21 seems to confirm that the domestic blockchain industry saw “exponential” growth in 2017. The report showed that 178 new blockchain startups were launched in China that year, bringing the total number to 456, while in 2016 there were only 136 new startups. This year, Blockchain’s future in China seems even brighter: with the appointment of the new, pro-market head of PBoC, the country is likely to release more Blockchain-boosting legislations. Moreover, lately, the director of the Institute of Digital Currency at PBoC has been bullish on the technology as well. Meanwhile, the government agents proceed to hop on the Blockchain bandwagon as well: in late May, the The Shenzhen Municipal Office teamed up with a blockchain-startup to fight tax fraud, while The National Audit Office of the People’s Republic of China is considering a Blockchain solution to tackle the “endless cycle of data storage and management”. Even the PBoC itself has been experimenting with Blockchain: back in 2016, the central bank announced its interest in a blockchain-based digital currency (not a decentralized one, however). PBoC has also just revealed a blockchain-powered system to digitize paper checks. It seems that by the end of 2019, China will go as far as to release nationwide blockchain standards, so that the technology will indeed become essential part of the country’s technological advancement.